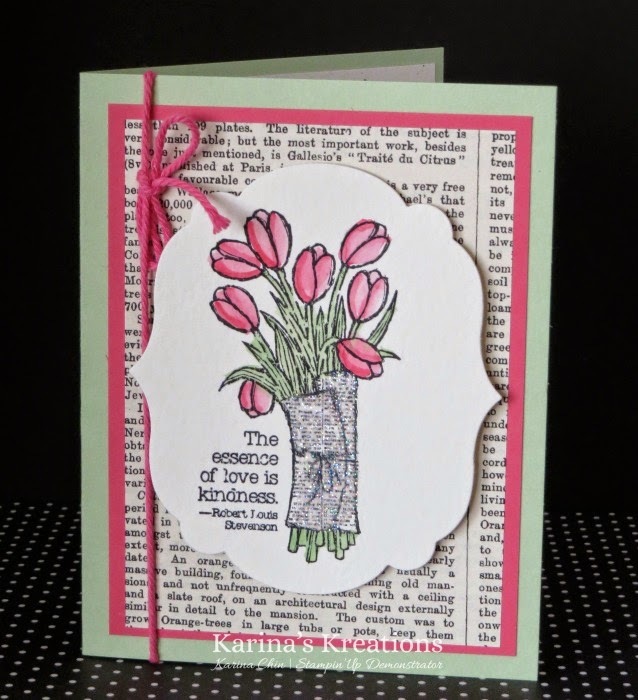 Karina's Kreations: Love is Kindness Card! This is another beautiful stamp that's retiring May 31. The stamp is called love is Kindness. 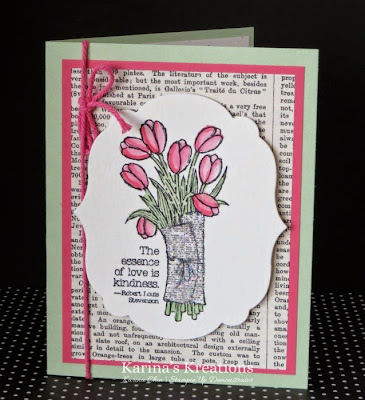 I stamped the image with Black Stazon ink on watercolor paper and cut it out with the Labels Collection framelit. The flowers were colored in with an aqua painter and Strawberry Slush and Pistachio Pudding ink. I added some dazzling Diamonds Glitter to the newpaper with my 2-way glue pen.